Illuminated products are created by printing graphics or information on one side of PPG Teslin substrate using conventional or digital print technologies. The electronic circuitry is printed directly onto the opposite side of the substrate using PPG’s conductive inks. Photo courtesy of PPG and Powercast Corp.
PITTSBURGH—PPG and Powercast Corporation are working together under a joint development agreement announced in November to produce ultra-thin, wirelessly powered printed electronics. 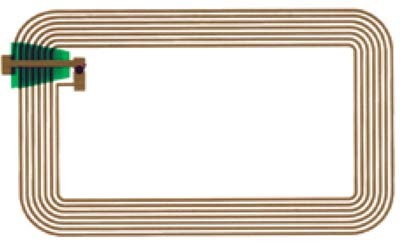 The electronics combine PPG Teslin ® substrate, PPG conductive inks, and Powercast’s Powerharvester® receiver technology for delivering over-the-air wireless power, the companies said in a press release. Powercast and PPG will introduce LED-based wireless illumination technology for smart consumer packaging and smart identification (ID) cards, which enable enhanced security. The technology is incorporated into smart consumer packaging that lights up to showcase products on a shelf. Smart ID cards also illuminate to permit or deny access to restricted areas or to verify user credentials. The companies’ combined technologies allow developers to seal electronics into packaging and cards via lamination to provide indefinite illumination without wires, batteries, charging ports, or direct contact with a power source. 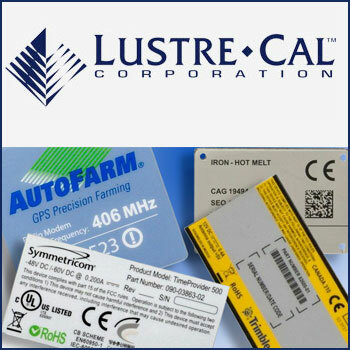 The ultra-thin (1 millimeter or less) Powerharvester wireless power receiver chip and other components are attached to the substrate using conductive epoxy, and the label is laminated to seal in the electronic circuitry. Photo courtesy of PPG and Powercast Corp. In one application, a PPG Teslin label is affixed to the front of a six-pack of beer, courtesy of Straub Brewing, Inc., St. Mary’s, Pennsylvania. 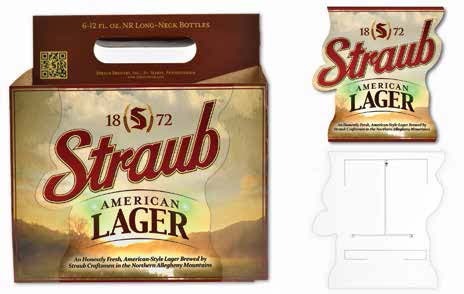 The label illuminates the package and draws attention to the Straub brand. Another application is a smart ID card that authenticates a user based on proximity to an ID reader. Durable, flexible, and water-resistant, PPG Teslin substrate is a microporous synthetic paper with the unique ability to cushion printed electronic circuitry while withstanding the handling and abuse typically associated with credential and packaging applications. The PPG Teslin substrate provides a surface material well-suited for enhancing the functionality and extending the service lives of illuminated and smart consumer packaging and identification cards, the companies said. According to PPG, its polymer thick film conductive inks are uniquely formulated to meet a wide range of printed electronic circuitry applications, including printed radio-frequency identification (RFID) and mobile antennas, membrane switch and capacitive touch panels, flexible OPV solar panels, printed sensors, and medical biosensors.